CCCS of Northeastern PA can help. If you are having difficulties making your monthly payments, or the balances on your credit cards are just not decreasing, then the Debt Management Program may be for you. Credit counseling services are 100% free and confidential. 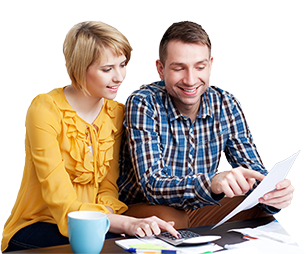 We’ll help you set up a budget and teach you proper money management skills to help you avoid financial problems. If you’re having difficulties making your monthly payments or the balances on your credit cards are just not decreasing, then a Debt Management Program may be for you. If you’ve filed for bankruptcy, your first step is to complete a bankruptcy counseling session. We also provide bankruptcy education classes. This is where you can obtain the required certificates needed in order to file or discharge your bankruptcy. The service is available online, by telephone or in-person. Here are some of the services that we currently offer. CCCS of NEPA can help you via the telephone, in-person, or you can start your free credit counseling session online from the comfort of your own home. If you don’t see a particular service listed here, just give us a call and see if we can help you. Our FREE online system is 100% secure, confidential and accessible 24 x 7 in the comfort of your own home. This is the first system of its kind to actually provide personalized counseling advice. This is our Online Web Pay service for existing DMP clients ONLY. By choosing the link below, you will be directed to the Payment Center webpage to find out more about Payer Express and to access this service. The CCCS of NEPA Debt Management Program can help! If you’re struggling with unsecured debt, our program may be the solution you’ve been looking for. Let us help eliminate your financial stress!